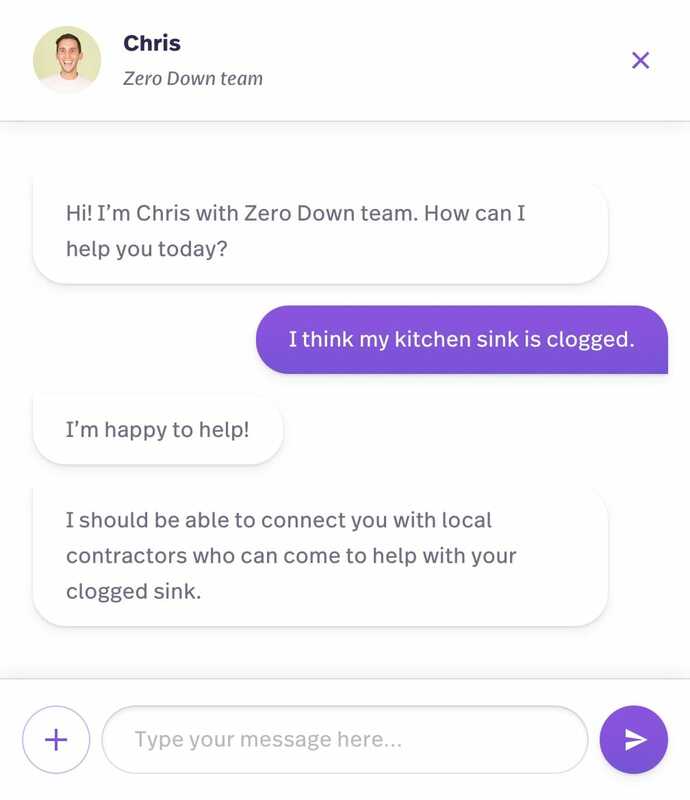 The mission of our devoted team at ZeroDown is to enhance our members' day-to-day lives as homeowners and alleviate the stress that comes with owning a home. Through connection to vetted service providers and other partners, our team is here to help and give back the luxury of time and peace of mind. Clogged sink? DIY project gone awry? We’ll lead the way to the best handymen and plumbers around. With our Concierge Team, you get help with home-related services, all with the tap of a button. 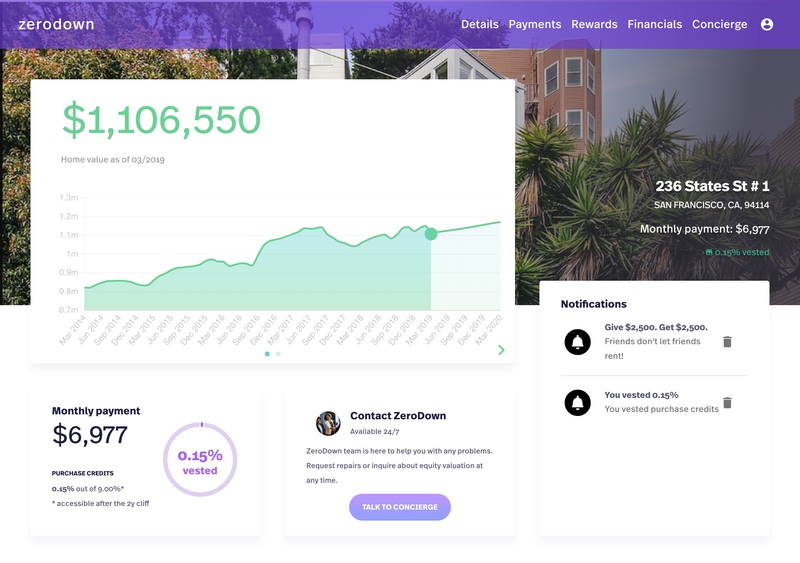 You can see all of you home related details in one dashboard. 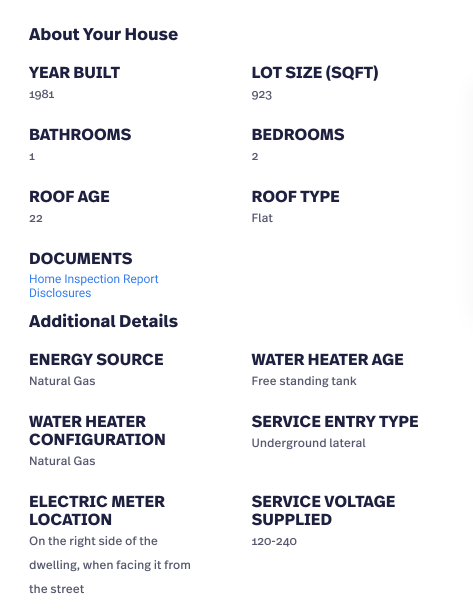 We put this data together from various inspections, disclosure reports and make this available to you. Want to know what your roof type is or what type of HVAC you have? Just pull up the concierge app and the details are all available to you. In addition to details about your home—we also collect, organize and display information about all the appliances in your home - their make, model, warranty information and links to online manuals. Gone are the days of frantically searching for manuals when trying to troubleshoot. Earn reward points by making on-time monthly payments on your home. Connect your credit or debit card super-charge your rewards program and earn even more points by shopping with our rewards partners. Earn 3x ZeroDown rewards for every $1 spent taking a ride on Lyft or Uber. Earn 2x ZeroDown rewards for every $1 spent on groceries via Instacart. Get discounts by applying points towards buying smart devices (Ring Doorbell, Echo, Nest Devices, August Smart Lock, Sonos) via the concierge app. Looking to get your home deep cleaned, carpet fumigated or contractor for miscellaneous work? You can apply points to get discounts from the best providers of these services via the concierge app. We got you covered when it comes to best practices as homeowners. We've curated the calendar of all preventative and mandatory tasks that we believe that homeowners should do to take the best possible care of their home. Whether it is cleaning your air vents, replacing the filter or checking your smoke detector batteries, you'll be notified when it's time via your concierge app.